For babies from newborn to 18 months. £5 per baby, accompanying adults free. Once a month, the gallery is transformed into an imaginative sensory play space. Explore dens, lights, mirrors, music and interesting objects, and relax amongst the exhibitions. The play space is different every time, so there are always new things to discover. The play space has been designed to appeal to babies from newborn to 18 months, and caters for all stages of development. Whether they're into colourful lights, mirrors, musical instruments, dens, treasure baskets, or push-along toys, we guarantee your baby will be surprised and delighted by the play space! 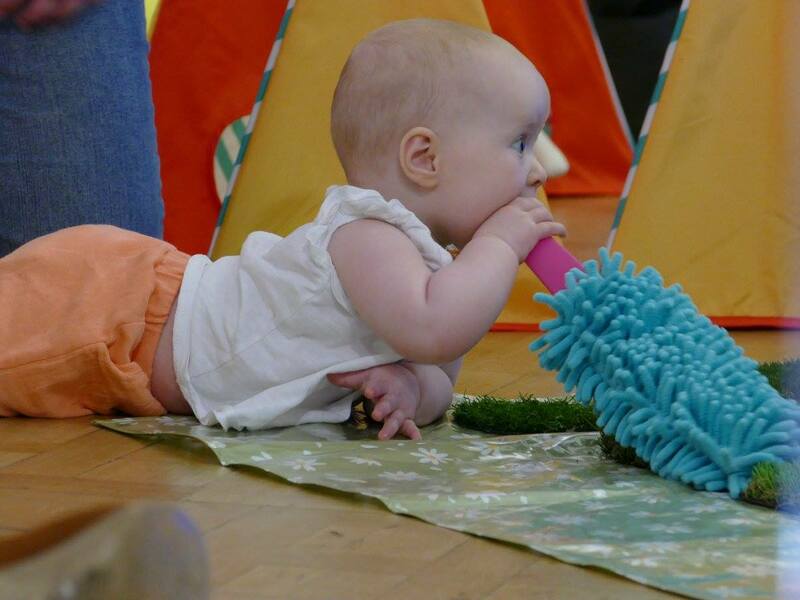 Set in our main exhibition space, this is a great way to introduce your baby to the magic of art galleries, and relax and socialise amongst the exhibitions. No terms to commit to! No need to arrive for a set time! Bring as many adults as you like, at no extra cost! There's plenty to explore, so we recommend allowing at least an hour for your visit. Book in advance to guarantee your place. In the event that the event is not fully booked in advance, remaining tickets will be available on the door.